We love making the most of warm, sunny nights by having a BBQ dinner at a local park. Here are 20 of our favourite spots. We hope to see you over a BBQ soon! A few years ago we started a family tradition of having BBQ dinners at local parks nearly weekly during day light savings. Mostly because I wanted a change of scenery from eating dinner at home every night with little ones. And summer nights are gorgeous to enjoy outdoors! Plus, it’s much easier to cook dinner when the kids are happily playing… and this seemed to make the ‘witching hour’ disappear! Now, our BBQ park dinners have become great after school play dates. Now there are a LOT of local parks with free BBQs, which you turn on simply by pressing a button. To help you choose, here are our 20 favourite parks for BBQ dinners. The list is a mixture of parks with great warm weather playgrounds, gorgeous views along Parramatta River and ones with great picnic facilities. And you can also see our favourites on a Google Map. Keep in mind that some BBQs are cleaner and better maintained than others. 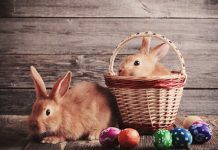 But I have a trick to help with that – alfoil! I just cook on a large piece of alfoil, which saves needing to clean before and after. WINNING! We’ve never had a problem with BBQs not working at a park. 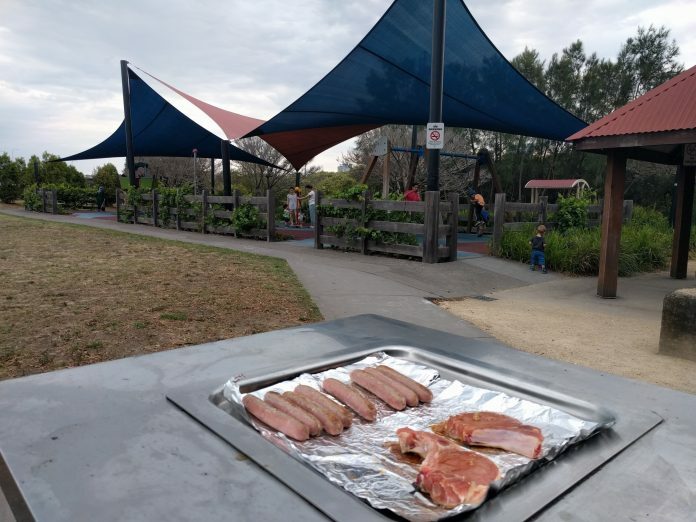 But in case you turn up ready to cook dinner and find the BBQ not working, I’ve included details of where you will find another BBQ in a park nearby. And if you aren’t sure what to cook and pack, see my list at the bottom of this article. Keep in mind that some parks are closed to vehicle access at sunset. And remember to pack MOZZIE REPELLENT! 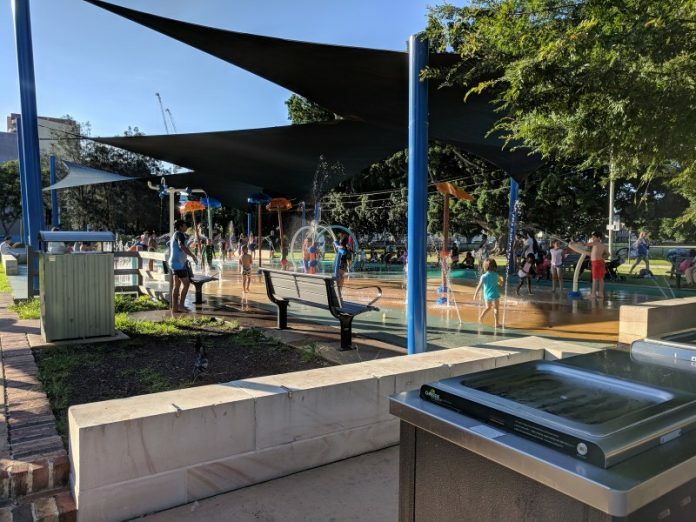 The order of parks is based on a combination of what BBQ facilities are available (toilets and taps are important), how close the BBQs are to the playground (closer the better), how good the play equipment is for a hot summer evening (water play is great) and how nice the spot is. Dundas Park is definitely our number 1 favourite BBQ dinner park! There’s both a water playground and other play equipment right next in front of the BBQ, under shade cloths. Plus, there is a large oval to fly a kite or kick a ball around and a path around the park great for riding on. And if you happen to not want to cook dinner on the BBQ, we often get pizza’s from Vulcano Pizzeria a short walk away. 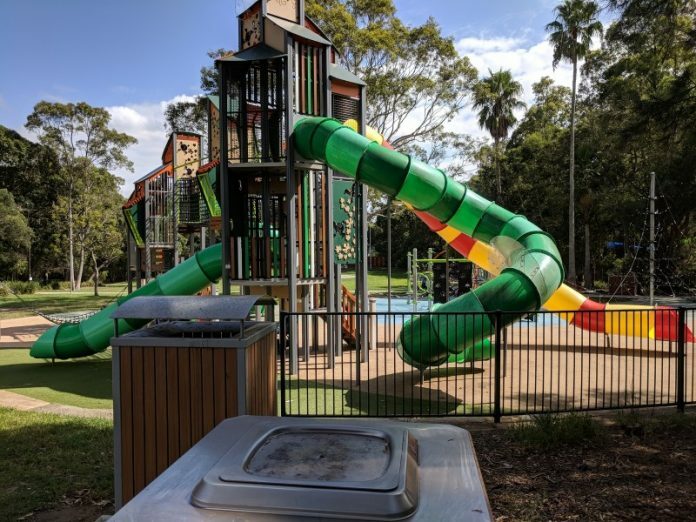 Facilities: Dual BBQ, 3 small picnic shelters, large grassed area, toilets about 50m away, tap in oval next to playground steps, garbage bins near BBQ and street parking. There is something very stress relieving about being at a fenced playground with young kids! And when you add in a water playground, shade and BBQs it is a WINNER! The BBQs and picnic tables at Livvi’s Place the Hills are in the middle of the playground, near the water play area. 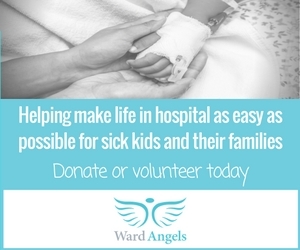 There is a variety of play equipment for kids of all abilities. And additional shade sails were installed earlier this year. 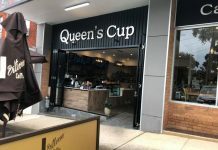 Facilities: Dual accessible BBQ, shade sail over BBQs and picnic tables, toilets about 50m away, bubbler, garbage bins near BBQ and on-site parking. 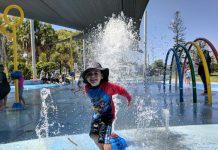 James Ruse Reserve has a large, shaded water playground that operates from 9am to 8pm, September to May. There is also a skate park and playground (not shaded) with swings, slides, rockers and rope climbing tower. Facilities: Dual BBQ, small picnic shelters, picnic tables, large grassed area, temporary toilets, tap next to toilets, garbage bins near BBQ and metered off street parking. Nearest Alternative BBQ: Rosella Park in Harris Park or Ollie Webb Reserve in Parramatta. This is a gorgeous spot along Parramatta River and great for watching the sun set. 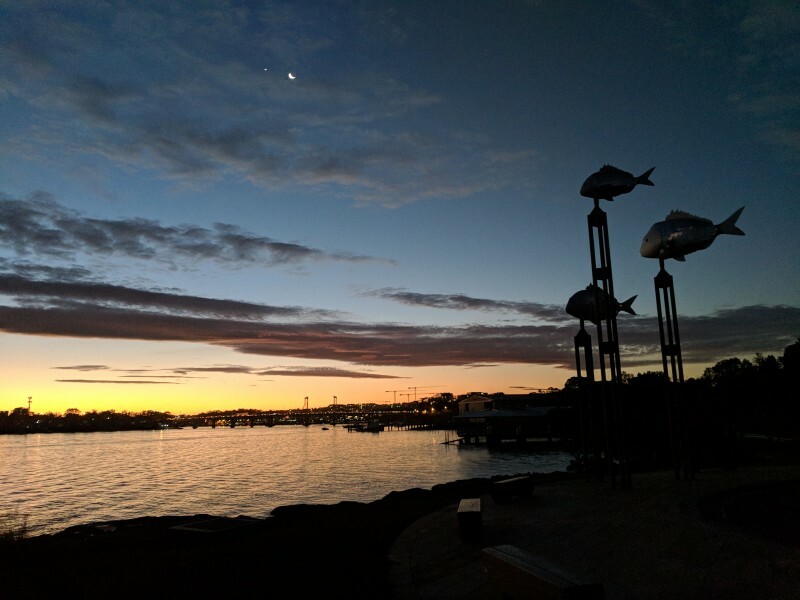 Kissing Point Park is right near the Kissing Point ferry wharf and this is one of our favourite spots for a BBQ dinner in summer and where you will regularly find us. 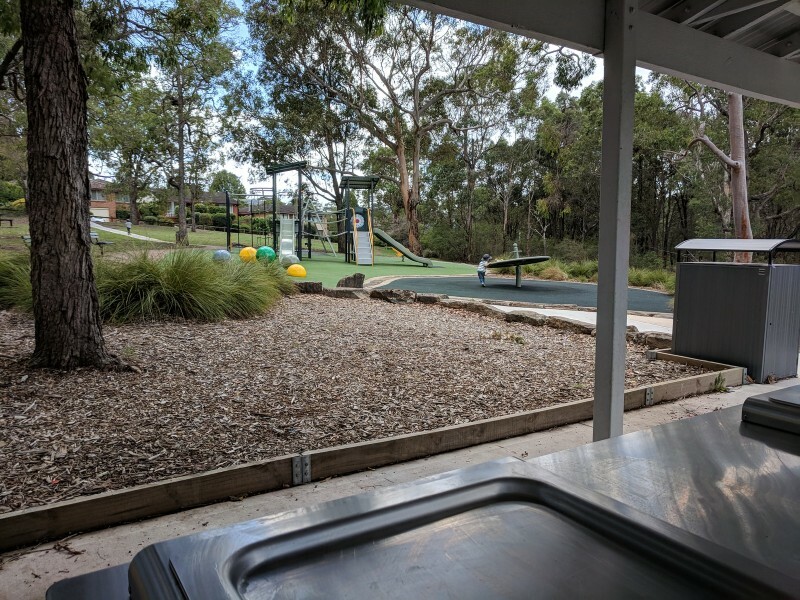 Facilities: Dual BBQ, two small picnic shelters, picnic tables, large grassed area, toilets, tap, garbage bins near playground and off street parking. Nearest Alternative BBQ: Putney Park in Putney or Anderson Park in Ryde. 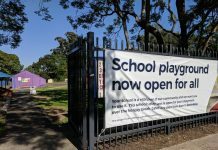 Strathfield Park is our favourite ‘local’ playground, with all its fun play spaces and facilities. The challenge is getting the kids to sit still long enough to eat their dinner! Keep in mind that there are two big sections to the playground, on either side of the park, and both have BBQs. 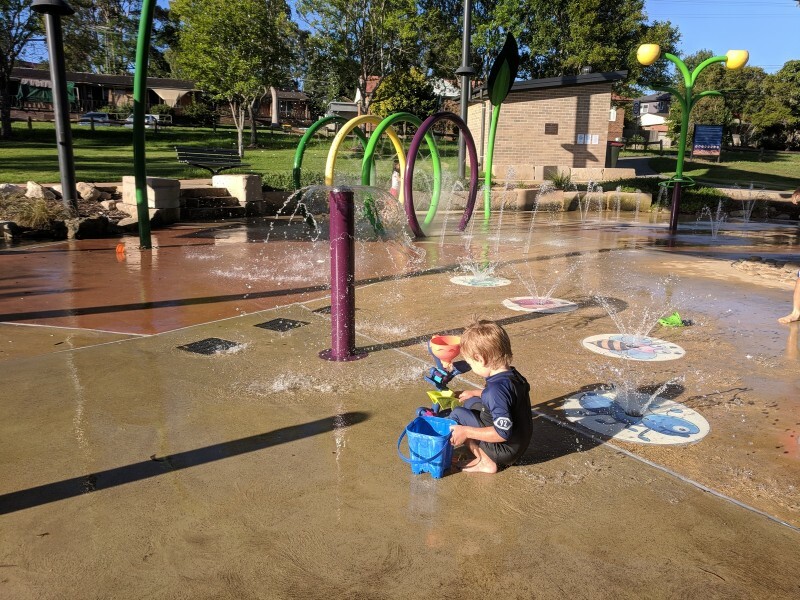 Facilities: a few dual accessible BBQs, picnic shelters, picnic tables, toilets in the middle of the park, water refill stations, garbage bins near playground and street parking. Nearest Alternative BBQ: Freshwater Park. 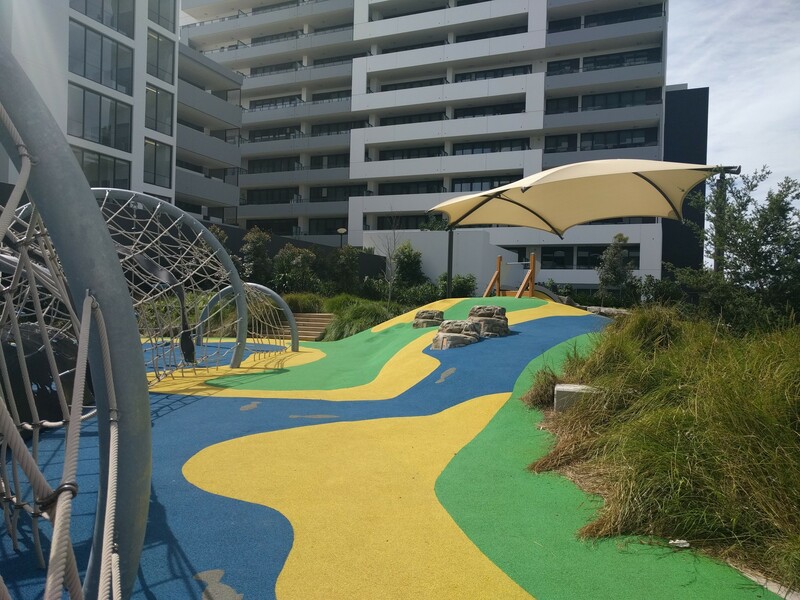 A popular park for social gatherings, Memorial Park is a short walk from Meadowbank Wharf and train station. It has views of Parramatta River, playground, war memorial, picnic areas and bushland. The playground consists of slides, climbing steps, a water pump with creek bed, swings, rope tunnel and more. 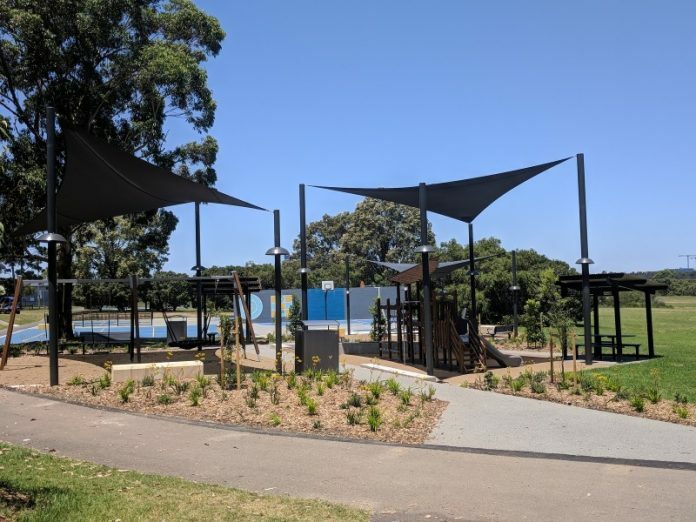 Facilities: dual BBQs near playground, picnic shelter, grassed area, toilets about a 5min walk near the train line, garbage bins near BBQs and street parking. Nearest Alternative BBQ: Anderson Park. 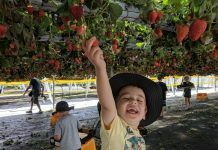 There’s so much to do at this natural oasis, just north of Parramatta. 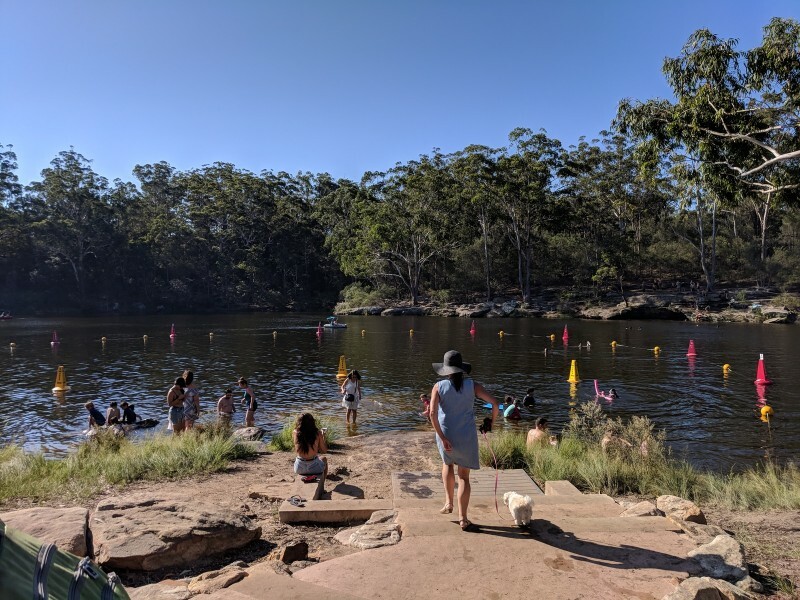 Lake Parramatta Reserve is popular for bushwalking, playing, picnicking and now water activities – swimming, canoeing and paddle boating. 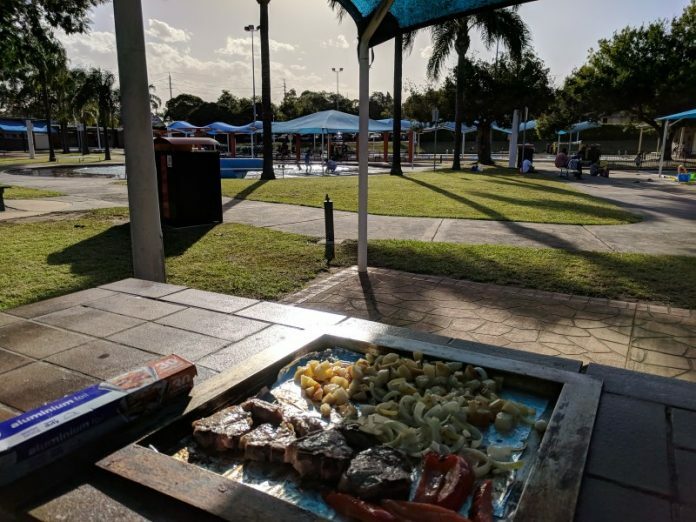 There are two sets of BBQs – one up near the toilets and playground and the other is near the swimming area with covered picnic tables overlooking the water. Note: the gates close at 7:30pm during day light savings. 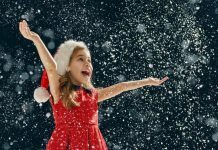 Facilities: Multiple BBQs, large and small picnic shelters, picnic tables, large grassed area, toilets with baby change table, tap at toilet, garbage bins near picnic tables and off street parking. Nearest Alternative BBQ: there are multiple BBQs at the reserve or head to Arthur Phillip Park. Putney Park is a fantastic park, found along Parramatta River in Putney. 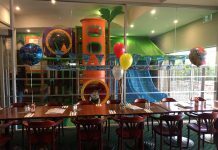 There is a great, free water play area suitable for young children. Unlike the other water playgrounds, this is more like toddler pools. There are no water fountains and tipping buckets, just two shallow pools connected by a pebble creek bed. There are also two other playgrounds in the park and two VERY large slides. Note: the vehicle gates close at sunset during day light savings. 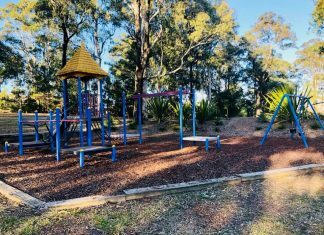 Facilities: Dual BBQ, small picnic shelters, large grassed area, toilets a 5min walk from playground, garbage bins near playground and off street parking. Nearest Alternative BBQ: Kissing Point Park. 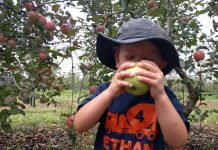 Blaxland Riverside Park is a large and awesome park, best suited for kids 4yrs+. It has a fantastic water playground section as well, though there is no shade and it only runs from 10am to 4pm. Keep in mind it’s very popular so parking can be difficult but easier in the evening. 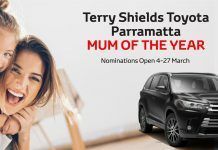 There are BBQs along Parramatta River near the Armoury Wharf Cafe or at the back of the playground, near the secondary car park (first carpark, on your left, when you enter). 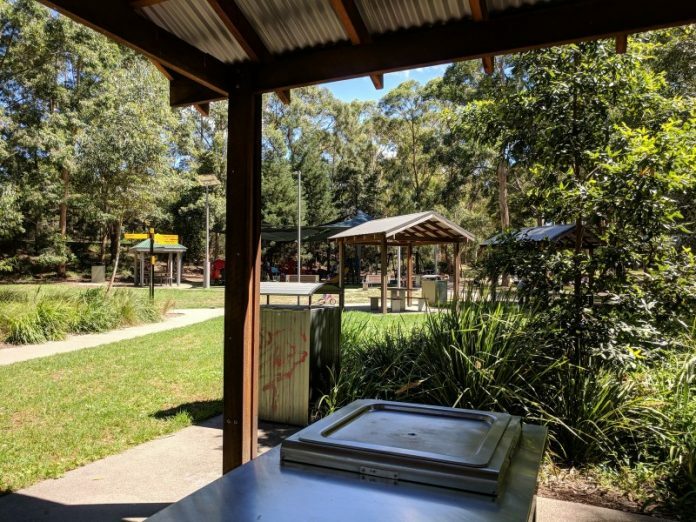 Facilities: Multiple BBQs, large picnic shelters, picnic tables, large grassed area, toilets, tap, garbage bins near BBQs and off street parking. 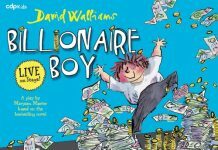 Nearest Alternative BBQ: there are multiple BBQs at the park or head to Wentworth Common. 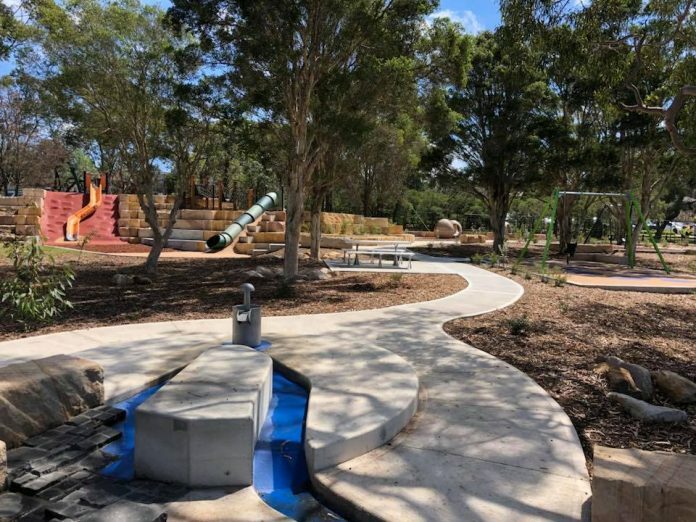 Boronia Park ticks almost all the boxes for a great park with young kids! Fab shaded playground with equipment for a range of ages, toilets, BBQs, picnic tables, bike/ scooter track, bush setting, gardens and exercise equipment. Just needs a water pump or water play area. Facilities: Dual BBQs, covered picnic tables, grassed area, toilets, bubbler, garbage bins near BBQs and off street parking at Coles or street parking. 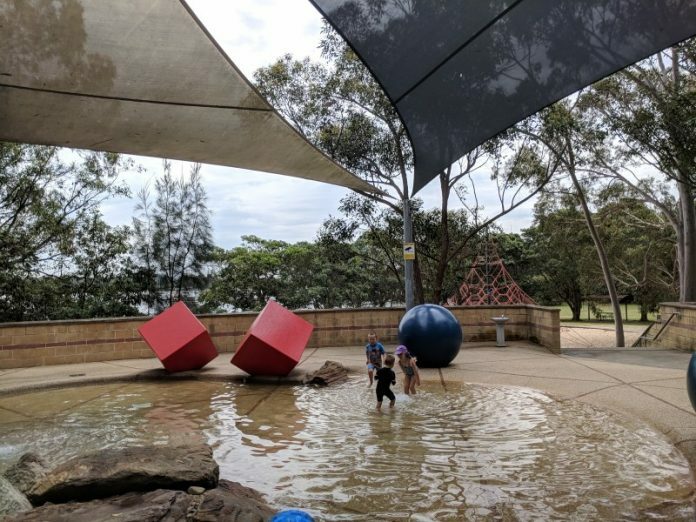 Cabarita Park is a great place to visit with young kids! The park has 2 playgrounds and a swimming centre that faces Parramatta River. 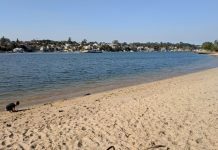 Plus the closest, swimmable ‘beach’ to Parramatta. We even saw a pod of dolphins one summer, which is a great sign that the water quality is good. 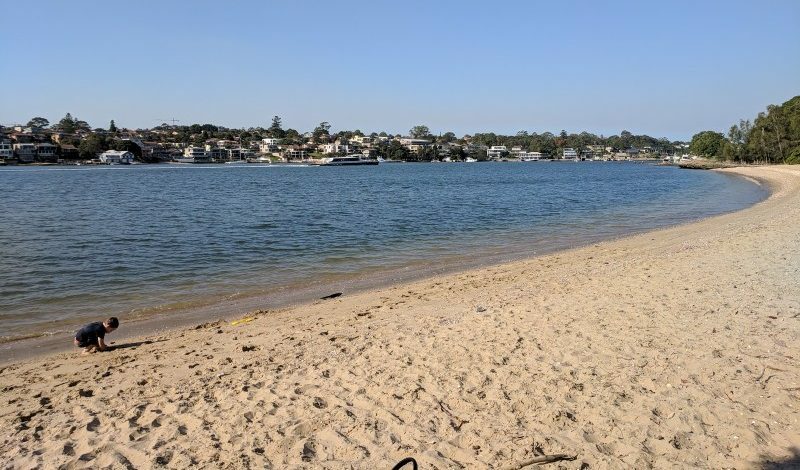 The beach is about 200m long and full of shells and our favourite spot is at the opposite end to the ferry wharf. There are a few dual BBQs in the park, all overlooking the water. Facilities: Multiple BBQs, large picnic shelters, picnic tables, grassed area, toilets, water re-fill stations, garbage bins near BBQs and off street parking. 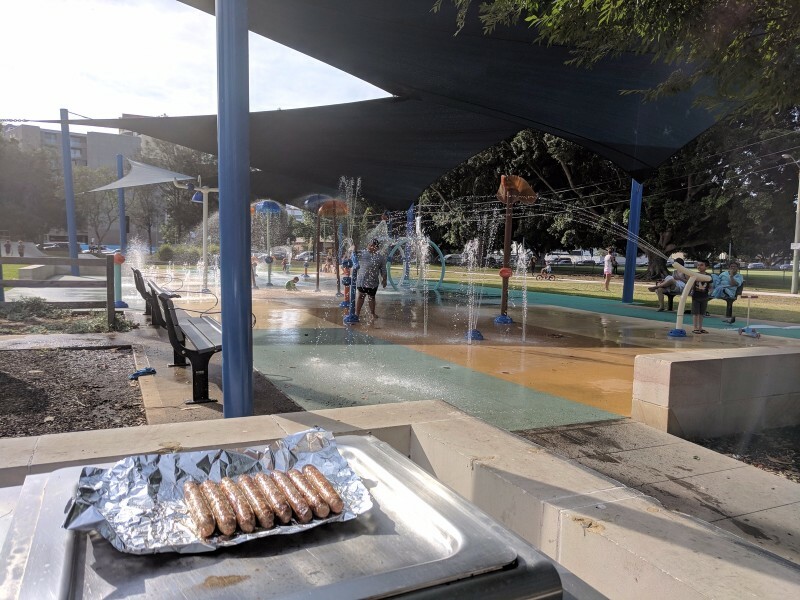 Nearest Alternative BBQ: Prince Edward Park. 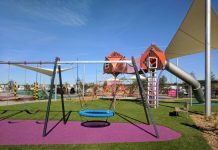 This large new nature inspired playground has a great mix of play equipment for a range of ages, including a water pump and channels. Plus both natural and sail shade. It’s next to the YMCA Ryde. And it’s near the old playground that you will find the BBQs and picnic shelter. Facilities: dual BBQ, picnic shelter, toilets, water refill station, garbage bins near playground, grassed area, and on-site parking. Nearest Alternative BBQ: Yamble Reserve or Blenheim Park. Almost fully surrounded by houses, it would be easy to live right near this park and not know it exists….well unless you looked at Google Earth or your kids play sport there. The playground gets natural shade in the afternoon and there is a bike/ scooter track, plus exercise equipment and creek to explore. 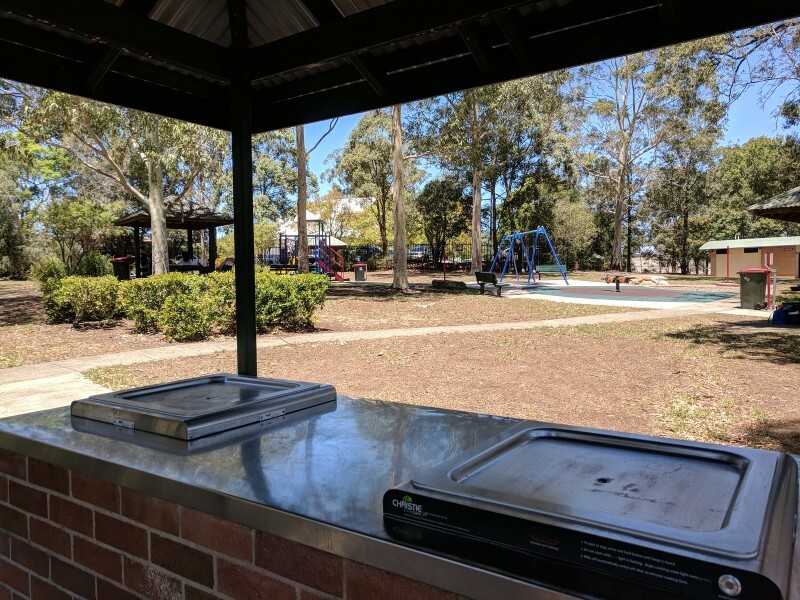 Facilities: Dual BBQ, covered picnic tables, grassed area, toilets, bubbler near playground, garbage bins near picnic tables and off-street parking. Nearest Alternative BBQ: Sturt Park, Dundas Park, Eric Primrose Reserve. 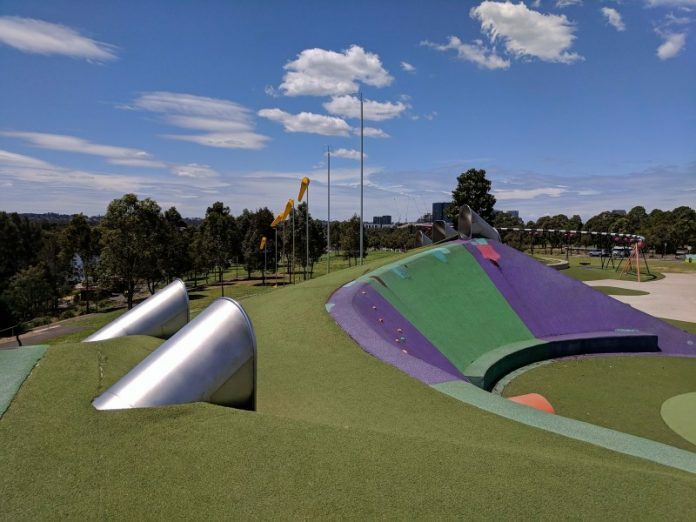 This large park has two playgrounds, sports fields, community centre (with playgroup), bbqs, tennis courts and a new fab learn to ride track at the southern end. 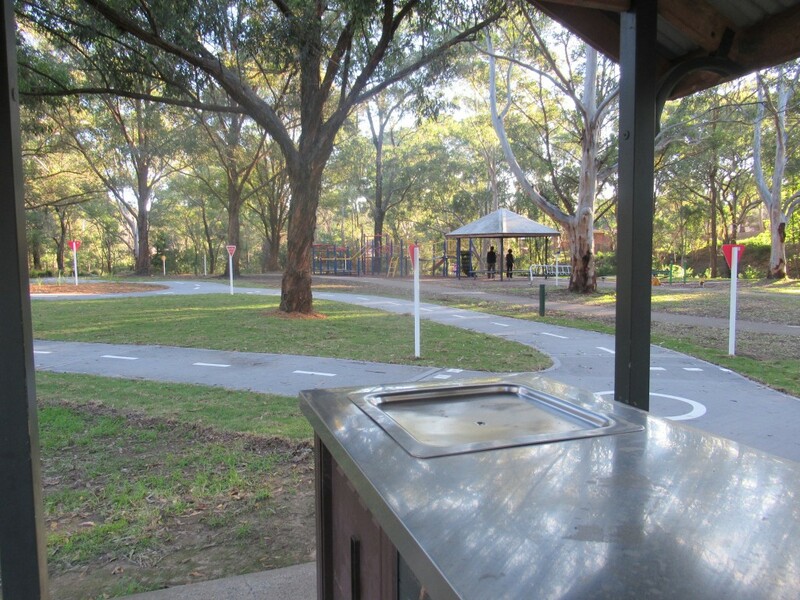 Facilities: Dual BBQs, picnic shelters, grassed area, toilets, bubbler, scooter/ bike track, fenced dog off-leash area, on-site parking. Nearest Alternative BBQ: Coolong Reserve. This great playground on Victoria Road is easy to miss as you drive by seeing as it is hidden behind a line of trees. My boys love the sand pit and scooter track, particularly coming around the bend and down the little hill. There is a shade cloth over the sand pit and natural shade across the playground in the afternoon. The BBQs are right near the playground and the toilets are on the other side. 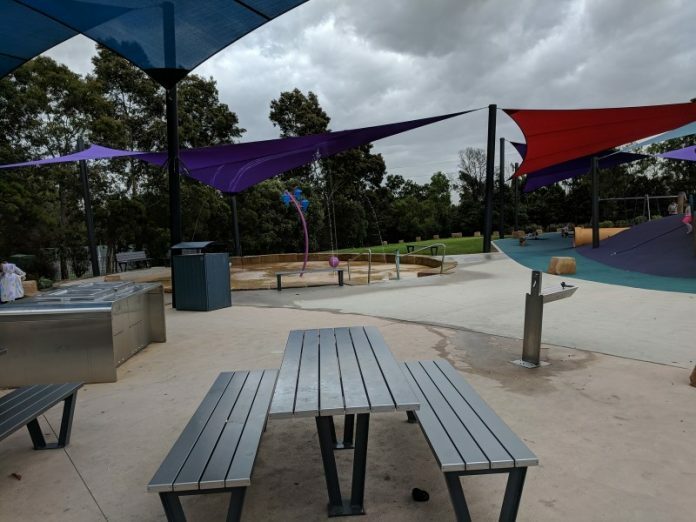 Facilities: Dual BBQ, picnic tables, grassed area, toilets, bubbler, garbage bins at opposite end of the park to the BBQs and off street parking. 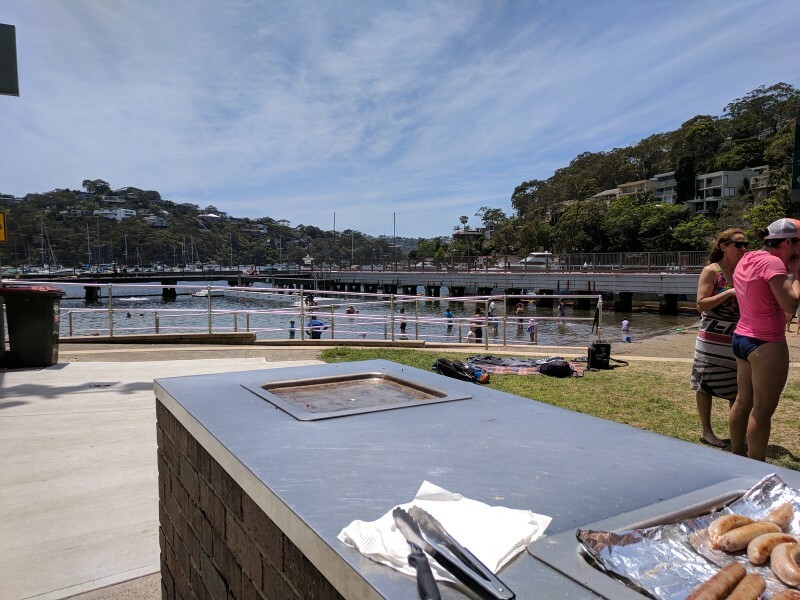 Nearest Alternative BBQ: Darvall Park. Tucked away in Winston Hills, John Curtin Reserve has a good playground, picnic tables, bbq’s, a football field and a community hall with toilets, plus lots of spots to explore the surrounding bushland. Facilities: Dual BBQ, covered picnic tables, grassed area, toilets, garbage bins near picnic tables and street parking. Nearest Alternative BBQ: Winston Hills Lions Park. Banjo Paterson Park is a gorgeous, hidden away spot along Parramatta River. The park got a new themed adventure playground towards the end of 2016 and there are bbqs and picnic tables nearby. Facilities: Dual BBQ, covered and uncovered picnic tables, grassed area, toilets, tap at toilets, garbage bins near playground and off street parking. 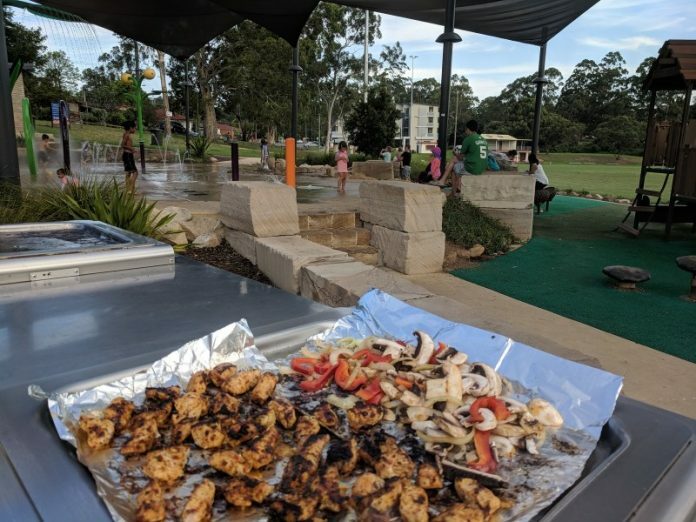 Nearest Alternative BBQ: Boronia Park in Hunters Hill. The colourful and artist inspired Phoenix Park features a wonderful medium sized playground as well as bbq and picnic spaces, iconic artwork and walkways, which are fantastic for kids on scooters and bikes. And it is walking distance to Rhodes train station. Plus the surrounding buildings provide a good amount of shade in the afternoon. Facilities: Dual BBQ, picnic tables, grassed area, toilets, water re-fill near BBQs, garbage bins near playground and street parking. Nearest Alternative BBQ: McIlwaine Park. 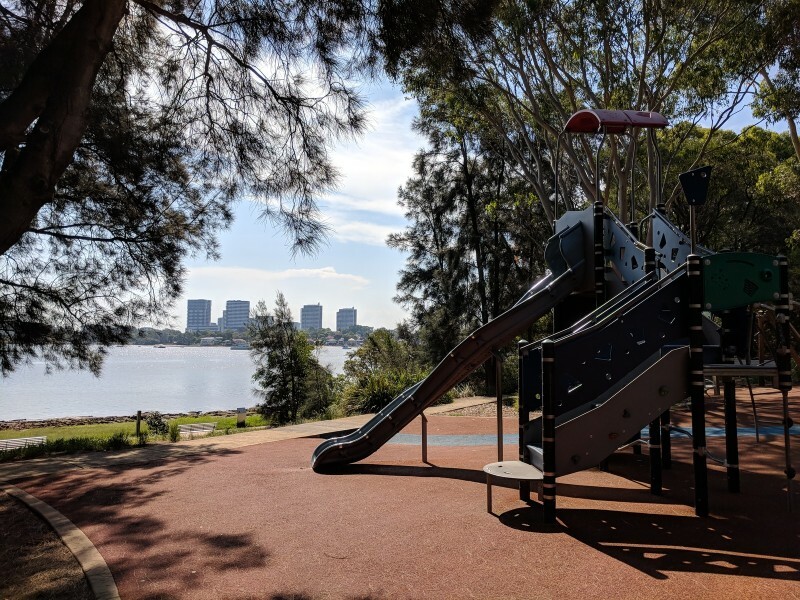 Located in a lovely spot along Parramatta River, Anderson Park has a shaded, medium sized playground. There is a boat themed climbing play gym, swings, small rope climbing tower, rockers and twisters. The park is within easy walking distance of Meadowbank ferry wharf, near Ryde Bridge and Ryde wharf. 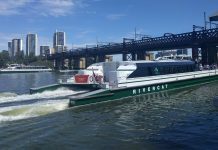 It is along the Parramatta River Walkway so you can go for a ride or walk along the foreshore. 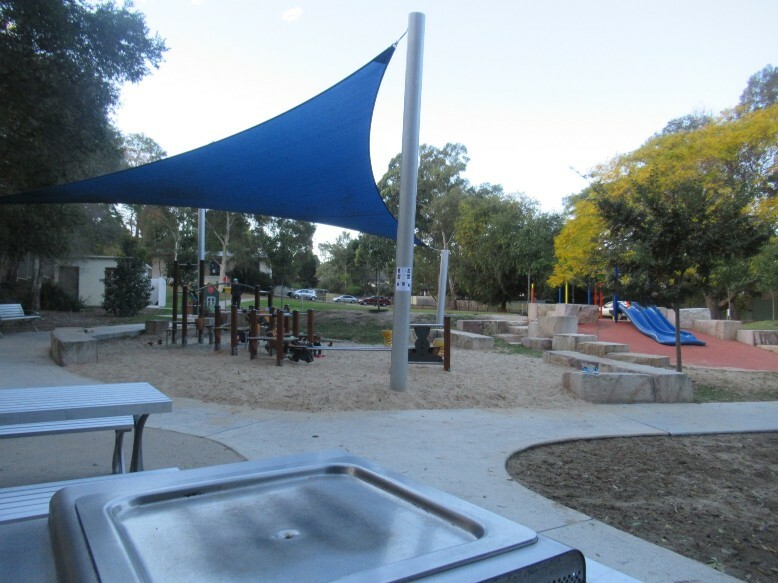 Facilities: Dual BBQ, picnic shelters, grassed area, toilets, water re-fill near playground, tap near BBQ, garbage bins near BBQ and off-street parking. Nearest Alternative BBQ: Memorial Park or Kissing Point Park. 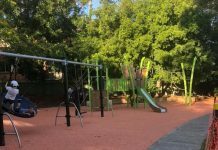 George Kendall Riverside Reserve has the newest playground on this list and also the most number of BBQs. The new playground is shaded and has a great multi-purpose sports courts next door so good for kids of a range of ages. Plus the reserve is along Parramatta River so a nice spot to go for a walk after dinner. Facilities: Dual BBQs, covered picnic tables, grassed area, bubbler, garbage bins near the playground and BBQs and off-street parking. 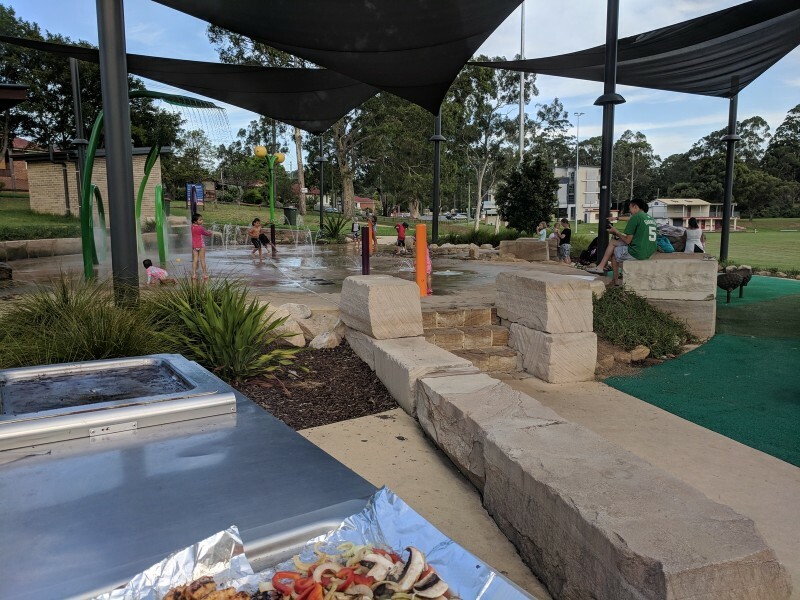 While not a park, we had to let you know that you can swim and have a BBQ dinner at Wentworthville Swimming Centre – a winner in our books! We have enjoyed a few BBQ lunches at the gorgeous, tranquil Northbridge Baths. But it’s not one I would visit for dinner unless you lived closer, with Sydney traffic being what it is. The dual BBQs and picnic shelters at Eric Primrose Reserve are near Rydalmere ferry wharf. And are a great spot to watch the sun setting over Parramatta River. Unfortunately there are no toilets nearby at the moment. 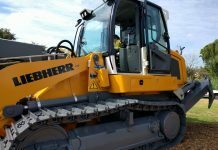 But that will change later in 2019 when an amenities block is built, as part of the Eastern River Foreshore Transformation. There are so many other parks that just missed the cut. I have edited and re-edited the list as we eat our way through the local parks with BBQs. Let us know if one of your favourites is missing or see a fuller list of parks with BBQs. Here is a map with our top 20 parks for BBQ dinners (blue), along with the alternative BBQs in nearby parks (grey). What’s Cooking on the BBQ? 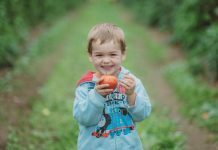 I don’t cook anything fancy and basically stick to the same meal each week – to keep it simple with little ones. But there is lots of yummy food you can cook on a BBQ if you have the time and energy. My summer BBQ park dinner usually consists of sausages or chicken skewers, salad, friend onions and BBQ potato cubes/ chips. And after a bit of trial and error, here is what I pack each week into a grocery cooler bag to make the BBQ dinners super easy. And my trick for making yummy, crunchy BBQ potato cubes/ chips is to microwave them until they are almost cooked, add some seasoning and a bit of oil at home. Then crisp them up on the BBQ.